He’s won Juno awards, his albums have been certified platinum and now, he’s set to be inducted into the Canadian Music Hall of Fame — but not before a quick stop by CBC’s Ottawa Morning. He's won Juno awards, his albums have been certified platinum and now, he's set to be inducted into the Canadian Music Hall of Fame — but not before dropping by the Ottawa Morning studios. 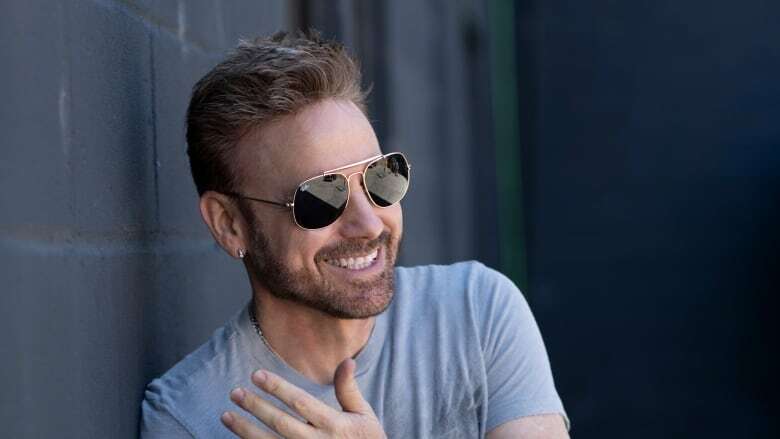 Corey Hart, the '80s sensation behind the hits "Sunglasses at Night" and "Never Surrender," is jumping back into music with a new album and a cross-country tour. His return wasn't planned — but three decades after topping the charts and four kids later, it seemed like the right time. "It was an alignment of the stars all at the same time," Hart told Ottawa Morning host Robyn Bresnahan. "It's just a luxury and a gift that the fans are giving me to allow me to go back out there and play my songs for them." Hart's career began over three decades ago, and led to worldwide acclaim and sold-out tours. But when he started a family, he took a step back. His own father left when he was young, leaving his mother to raise five children on her own, and Hart said he didn't want to repeat that pattern. "As a young boy, it hurt me. And I decided if I ever had children that I was going to do something different," he said. "I was going to create a different path and not follow the chain that he had laid out for his life and his choices." Rather than announcing a hiatus, Hart simply faded from the spotlight, devoting his time to his family. His departure from music was so pronounced, Hart said, that his children weren't even aware of his former stardom. It was only once they were teenagers and joined social media, Hart said, that they learned how popular their father was. After 2010, Hart began moving back into the limelight, culminating in a sold-out show at Montreal's Bell Centre in 2014 — a performance billed as a goodbye concert. "I played four-and-a-half hours, 44 songs, because I truthfully thought it was gonna be just one show to say goodbye to my fans," Hart said. But that wasn't how it turned out. Now, Hart's new album, Dreaming Time Again, is set to be released in May. He'll also be performing at the Junos in March after accepting his induction into the Canadian Music Hall of Fame. His national tour kicks off on May 31 in Newfoundland, with Hart making his way to Ottawa for a show at the Canadian Tire Centre on June 12.